Road Raggs is a full-service merchandise company that caters to the music/entertainment industry. We offer multiple options from design to delivery. Our mission is to fulfill your merchandise needs with high quality products in a timely manner. We all know that bad logistics can lead to profits lost, so for the larger tours we will keep an eye on inventory and order in advance to have merchandise available at a future venue before you run out. Both partners at Road Raggs have been doing this for years and know the importance of this issue…if you don’t make money, we don’t make money. 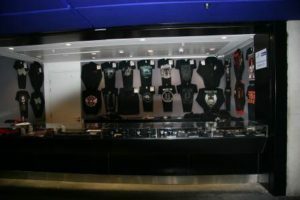 In this industry, merchandise is one of, if not the, top money makers for a bad or entertainer. This is what you must have to survive a tour and then some. 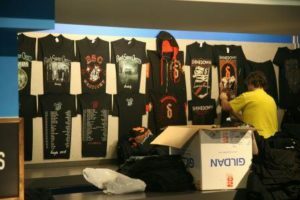 Road Raggs provides a full menu of merchandise for touring including services for supporting small clubs to sold out arenas in the United States and Canada. From product development to manufacturing, we will relieve you from the hassle of all stages of producing high quality merchandise. We will take your ideas, thoughts, concepts, sketches, and design the t-shirt or any other product image for you. We can work with as much or as little direction you provide. Road Raggs is committed to clients who expect marketable concepts, high quality merchandise and competitive pricing, which provides our clientele with less stress and better end-user experience. By providing one-on-one attention to every client, no matter if it’s clubs or arenas, we can build our relationships and make the magic work for you. Road Raggs also works with each client to develop a web store and even handles the customer service. 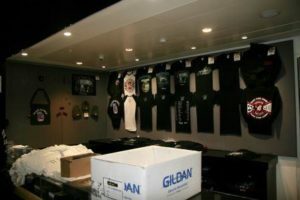 We know that fans can’t make every show but love to have access to the bands merchandise through the web. Bands can use this for their own marketing to let fans know of new products, bundle packages or special, as well as keeping an eye on sales trends. If you are interested in a profitable future in this industry,please feel free to contact Road Raggs via the contact form. We look forward to building a relationship wit h you and delivering a successful merchandise campaign.